BMW M3 Turkish Police for GTA San Andreas. Make a gift to the police of your state, buying them new cars! 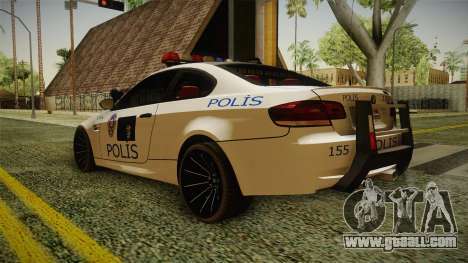 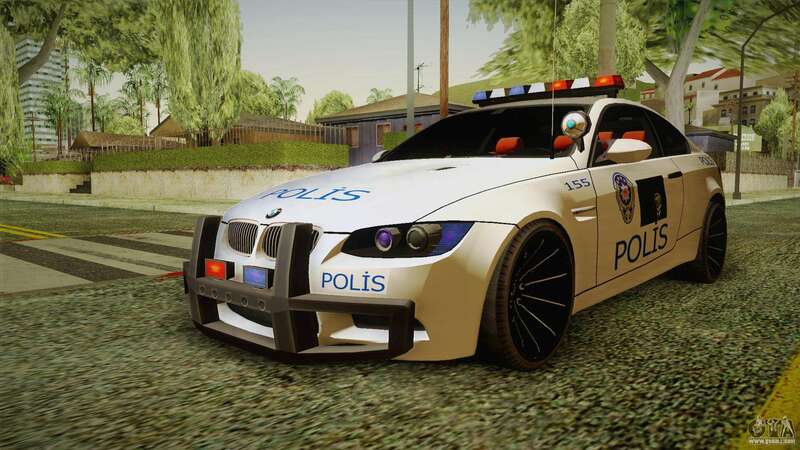 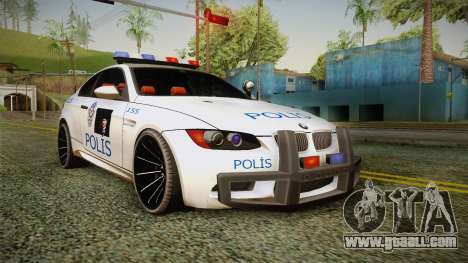 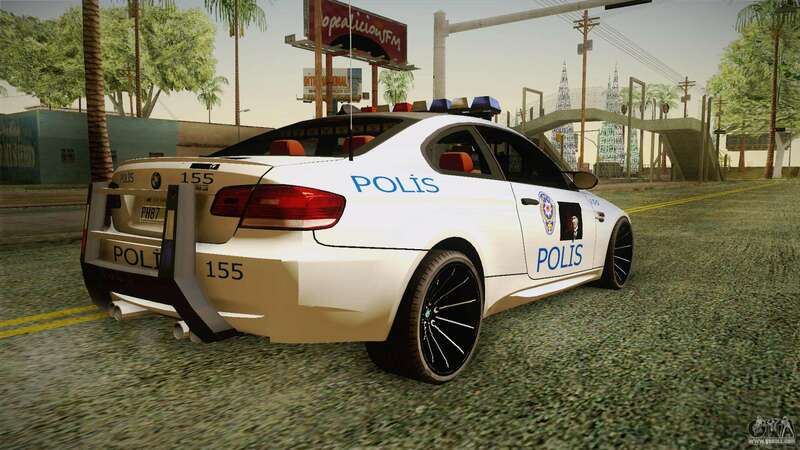 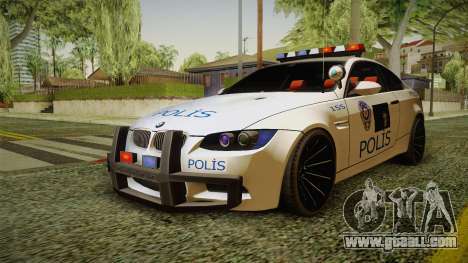 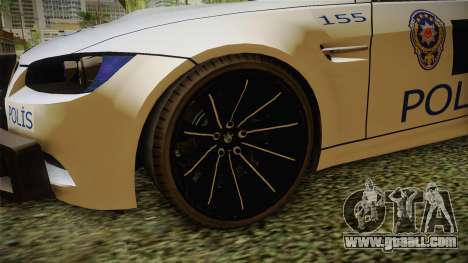 Free download mod BMW M3 Turkish Police for GTA San Andreas is the links that are below. 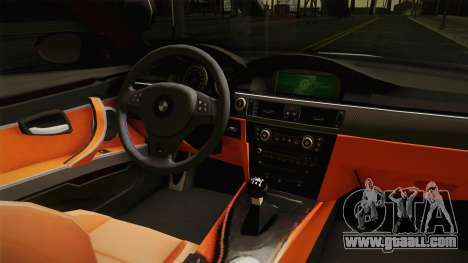 The mod has automatic install, so You can replace any model in the game.